Notes of life, small daily great stories of an artist who recounts with spontaneity and humor the adventure of becoming oneself. 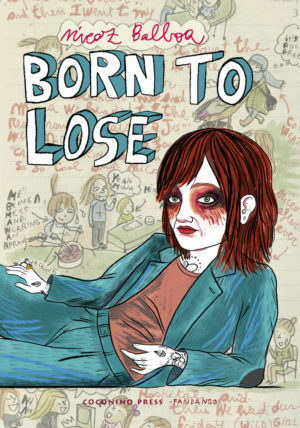 Born to lose, published by Coconino press – Fandango, is a surprising graphic diary of Nicoz Balboa, cartoonist and tattoo artist, young mother in search of her place in the world. Working less, blogging less, spending less time on Facebook and on the phone, spending less. And again: find a new love, tender and attentive, draw more (the only “plus” permission), go to bed early, take a shower every day, become a lesbian and start wearing women’s shoes … Start with a list of good intentions for the new year the irresistible story in first person of Born to lose.